Are you getting your car ready for sale? To get the best price for your car, it needs to look immaculate at the point of purchase. Your car may be perfect mechanically, but if it doesn’t look as well as it runs you’re going to run into difficulty when it comes time to sell it. We live in a visual orientated culture; that’s why pre-sale detailing your car is so important. 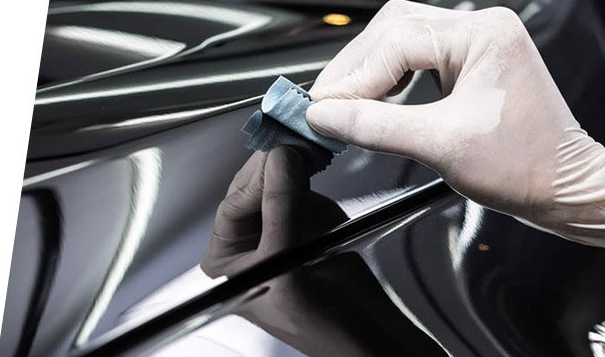 A pre-sale detail will ensure that your vehicle is looking it’s best and ready for sale. A pre-sale detail will give your car a newer look. Therefore you will be able to ask for a higher price, helping your vehicle sell quicker. A car sitting in the garage loses value by the day. A pre-sale detail will help sell your car a lot faster, and you ensure you get your money worth. A pre-sale detail is a top to bottom clean on the interior and exterior of your car. An interior detail will have your car looking like brand new. An interior is a thorough clean that includes everything from dashboard rejuvenation to upholstery shampooing. Your interior will have that new car smell, and when a potential buyer sits in the driver’s seat and grips the wheel for the first time, they will look around at the immaculate interior. You’re better off getting the professionals to do it. They have the correct tools and skills to get the job done correctly. It’s a small investment, but this will be recouped in the sale as you will be able to ask a higher price for your beloved vehicle. The pre-sale detail is an all-inclusive package cleaning service specifically for people who are getting their cars ready for sale. Imagine your car sitting in your driveway, sparkling in the sun, the mags are glistening, and you can see your reflection in the paint job. Does that sound like a great first impression for a potential buyer? You bet it does. The exterior clean will have your car restored to near new. It’s a full spectrum cleaning service that includes a complete engine bay clean. When you pop the hood for a potential buyer, they will be more than impressed with your upkeep of the car. The Pre-sale detail also cleans and polishes your tires and rims. Then they will give your paint a cut and polish to remove any small chips and make the colour pop like new again. I recently went through the process of selling my car. I spent quite a lot on the mechanical side of things, and I was little apprehensive about shelling out any more cash for a Pre-sale detail. My wife was convinced that it would help us sell the car faster. So I did. When the pre-sale detail was complete, I couldn’t believe I was looking at the same vehicle. I almost kept the car for myself. Anyway, we bumped up the price by a grand to make up for the money spent getting the car ready for sale and a little bit extra on top for profit — the first buyer to inspect the vehicle handed over the cash and drove it home. I couldn’t believe it. For a small fee, a pre-sale detail has significant results. It will make an average car look amazing inside and outside. Think about it as an investment that will offer high returns and help you sell your car a lot faster. It worked for me, and I would highly recommend it to anyone who is having trouble selling their car. It’s all about the curbside appeal. You may even snag a buyer who happens to be walking by as your car is looking shiny and new in the driveway.